HTC has launched the handset, Desire 400 dual SIM and it has the latest specs but the specs on two website are differed from each other. The two sites have mentioned the different versions of this smart phone. The Russian site shows that the handset, Desire 400 dual SIM is equipped with the specs of 4.3” display with the high resolution. This handset, Desire 400 is also added with the processor of quad-core Snapdragon 400 with the 1.2 GHz and it is also added with the RAM of 1 GB. This smart phone is also added with two cameras, one is on the backside, which is 8 MP and added with the LED flash and it is also provided with the 1.6 MP front facing camera to make video calling. This handset has the in-built storage capacity of 4 GB, which can be extended by adding the microSD card in its card slot. The other website of Ukraine shows that the handset is added with the specs like dual camera. The rear side camera has the specs of 5 MP and the front is the VGA camera and it is also added with the dual-core CPU. 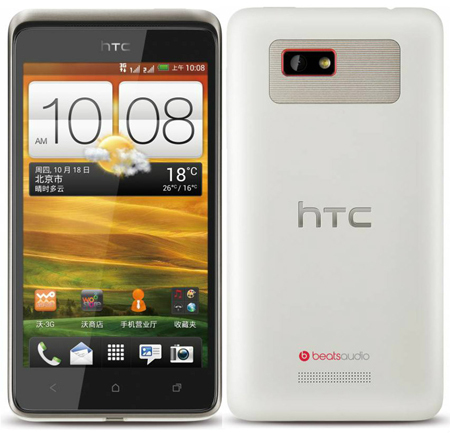 The common specs on both the sites are, HTC Desire 400 dual SIM appears in the market with the option of the set of usual set connectivity and it is also added with the home backed customization like BlinkFeed and Sense UI. This handset is powered by the 1800 mAh battery, which can give the 3G 12 hours talk time. 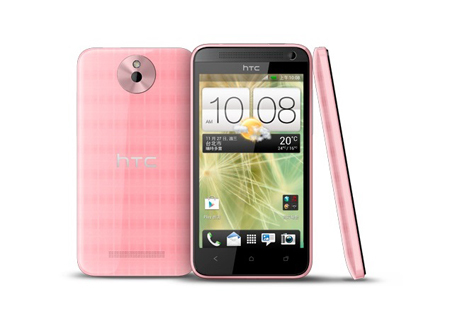 The price of the handset is not announced but it is known that this handset, HTC Desire 400 dual SIM is provided in various colors for the customers.